Update (3/6/2019): As expected, the one-day sales on Anker and HyperX gear have now expired. We've updated our deals list accordingly. Our original post is below. Original article: Greetings, Arsians! Courtesy of our friends at TechBargains, we have another round of deals to share. Today's list is headlined by a one-day sale on Anker charging accessories at Amazon, covering a number of portable batteries, wall chargers, and charging cables. 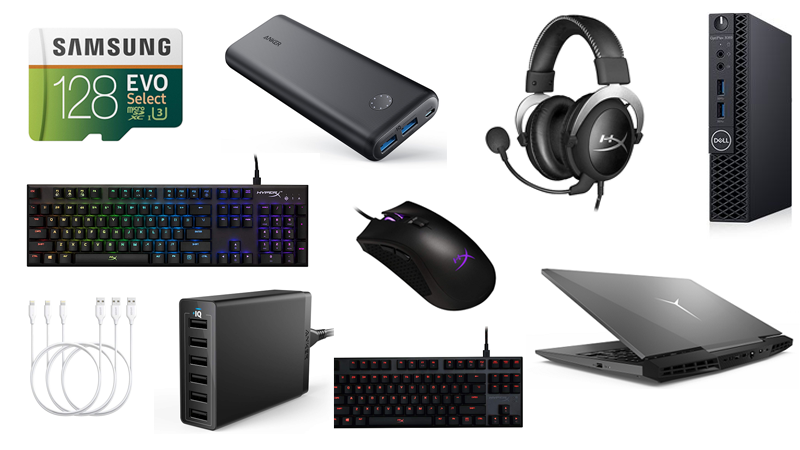 The sale does not include a ton of USB-C gear, unfortunately, but most of what's available is at or near all-time lows and can still be useful for newer gadgets if you own a USB-A to USB-C cable. Some highlights include a 60W six-port desktop charger for $21, a 30W USB-C PD wall charger—which is fast enough to charge newer smartphones at max speeds—for $18, a 20,100mAh power bank for $40, and a three-pack of Lightning cables for $17. Everything here is a commodity, but Anker has carved out a reputation for making these things reliable over the years, and most of the items on sale come with an 18-month warranty on the off-chance that they go bad.